NASCAR Race Mom was excited to learn that the NASCAR Sprint Cup Series Drivers Council met during the Daytona International Speedway race weekend regarding the amount of access fans have to drivers and teams during a race event. 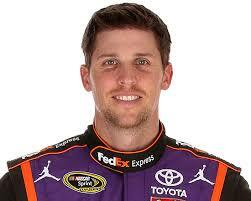 Denny Hamlin the appointed voice for the driver’s council agreed. “I agree last week that it was really hard to even walk to your car, and it’s a very small pit road,” Hamlin said. “Things could definitely could get done. I feel like each team should have a 10-foot-square space around their car that is just designated for the driver and team. “Honestly, they’re monitoring the crew guys from touching the car before the race, but the casual fan can do just about anything they want to the side of the car. It’s really crazy how much. For example, I’ve seen guys just fall over the hood of the car and put a dent in it. 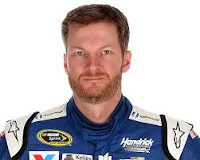 Whether the answer cutting back on the number of fans allowed on pit road or educating the fans allowed into the hot pits; the fact that the subject is the topic of discussion is a positive. Let us not forget the fan hit by the #18 car of Kyle Busch last April*. NRM has often been amazed that there are not more fans injured at these NASCAR Races. *After hitting the wall during the Food City 500, Kyle Busch returns to the garage area and his car makes slight contact with a woman. According to ESPN NASCAR reporter Bob Pockrass, she was uninjured. Additionally, when my son raced, fans wandering around his race car and touch it right before the race was also a real concern. NRM actually witnessed a father place his son inside the #16 Hasa Pool K&N Pro Series West car before a race. Hopefully the eventual answer is not that fans be banned from the pit . . . . I would greatly miss the opportunity to experience the excitement. NASCAR Race Mom would like to see more fan monitors in the pit area education the race enthusiasts and monitoring compliance to track rules. What do you think the solution should be?